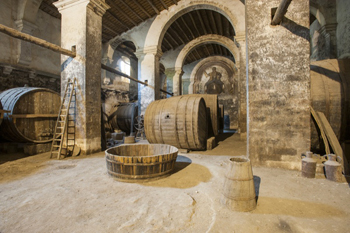 The various different environments that make up the Fegotto architectural complex, the result of the evolution of the manor house into a highly productive estate, but also into a social, political and religious hub for the area, are among the highlights of a visit to Fegotto due to their variety and excellent state of preservation. The tour starts from the manor house, whose first floor – with no less than 18 bedrooms and 8 bathrooms – was where the nobility lived. 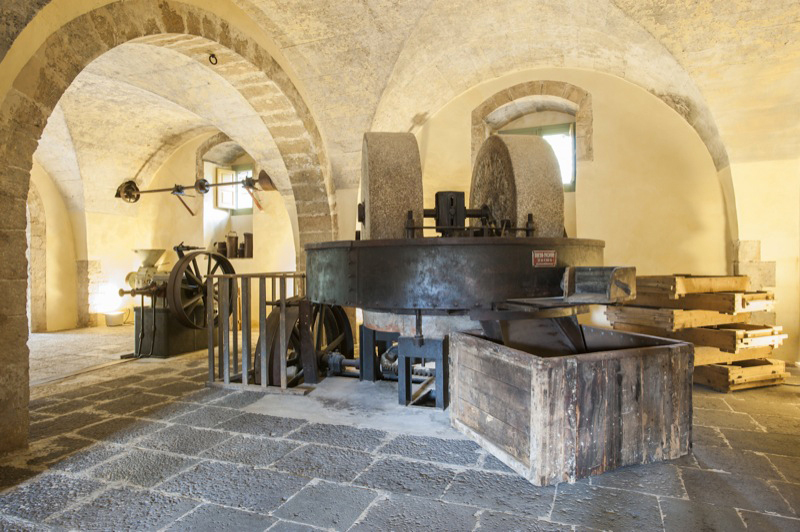 The ground floor holds the first rooms connected with Fegotto’s agricultural production, such as the olive oil mill, with its late 1940s Breda Pignone - Sacmo machinery and presses, as well as various rooms which have been restored to their original architectural and decorative glory. Of particular note are the stunningly scenic winery and palmento wine press, which form a single environment. Perfectly preserved and complete with all equipment, barrels and furnishings, they are a testimony to the grape-processing industry that went on here and the huge gluts of wine that were produced, and then shipped from the nearby port of Scoglitti either to the Florio vintners of Marsala, or to Naples and other Italian ports. 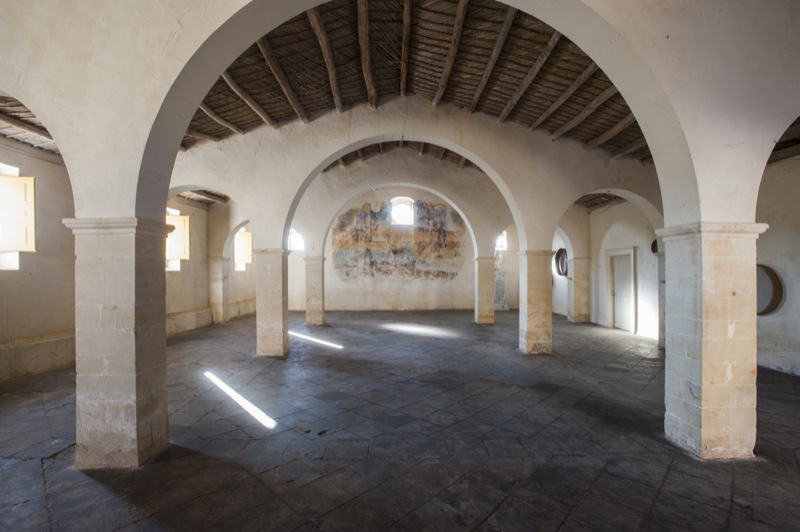 The barn, at the entrance to the main courtyard, has the same significant features and retains the decorative painting on the back wall, as well as the asphalt stone floor and the thatched roof, in addition to the furnishings and implements used for grain such as sieves, measures and ladles. The two courtyards are quite different from each other but equally charming. The rectangular main courtyard, south of the main house, is bounded by various outhouses: its original flagstone flooring is made from local Comiso stone. Even the olive-tree courtyard, east of the main house, still has its original 18th century flooring. It is surrounded by series of workshops (the blacksmith’s, the dairy, the bakery) and the stables. Without doubt, the areas that best testify the importance that Fegotto used to have include the chapel and school. The Chapel overlooks the main courtyard, opposite the manor house, and for decades served as the parish church for twenty nearby villages. Still consecrated, it retains its original furnishings. The school, named after Evangelista Rizza, opened from 1908 until 1976, providing a primary education to so many children that they had to be divided into morning and afternoon shifts. There was also an apartment for the teachers, who lived at Fegotto during the school year. 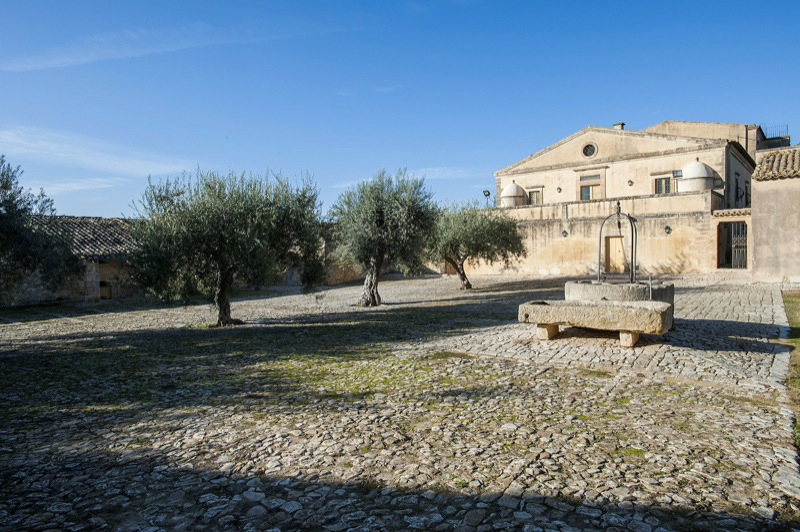 To the south west of the winery is a large vegetable garden enclosed by high stone walls, with numerous examples of centuries-old olive and carob trees. And a little further south lie the rabbit hutches, and the ex-hunting grounds covering an area of three hectares, now converted into a forest/orchard, with over a thousand plants.